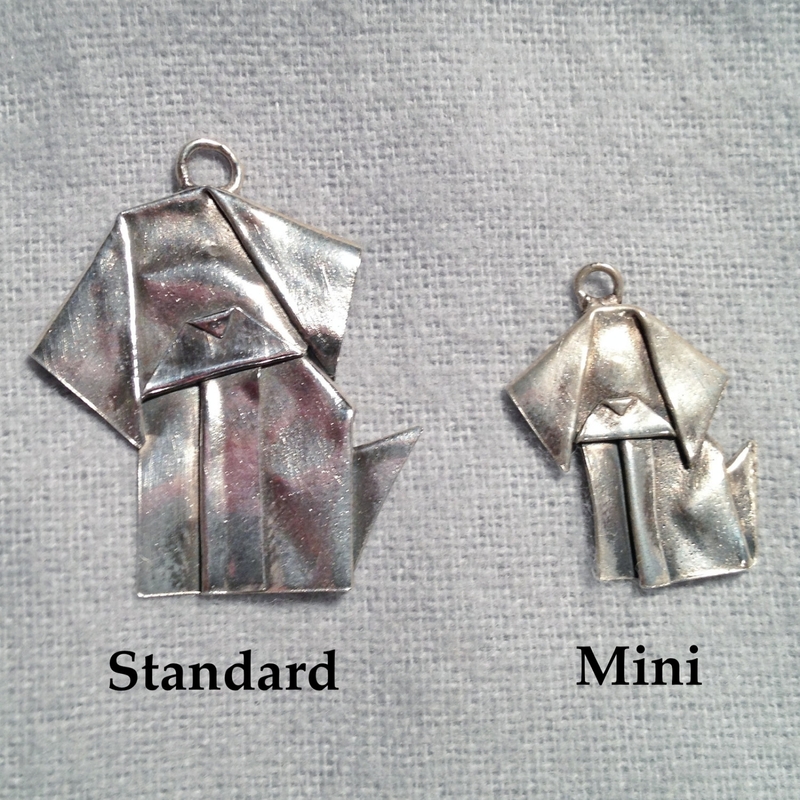 My dog pendants have been very popular, so I shrunk to a fun mini size! 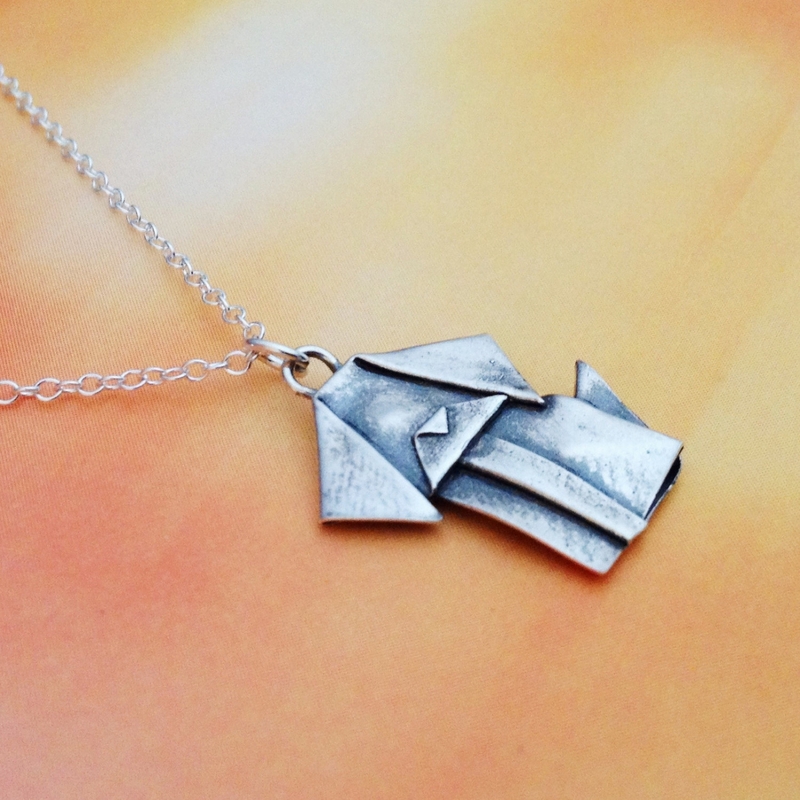 It is carefully folded from .999 fine silver, kiln fired, and highly polished. I then put it through an antiquing process to bring out the detail, and give it a light coat of wax for protection. Size is about 3/4 inch high, and weighs just under 2 grams. 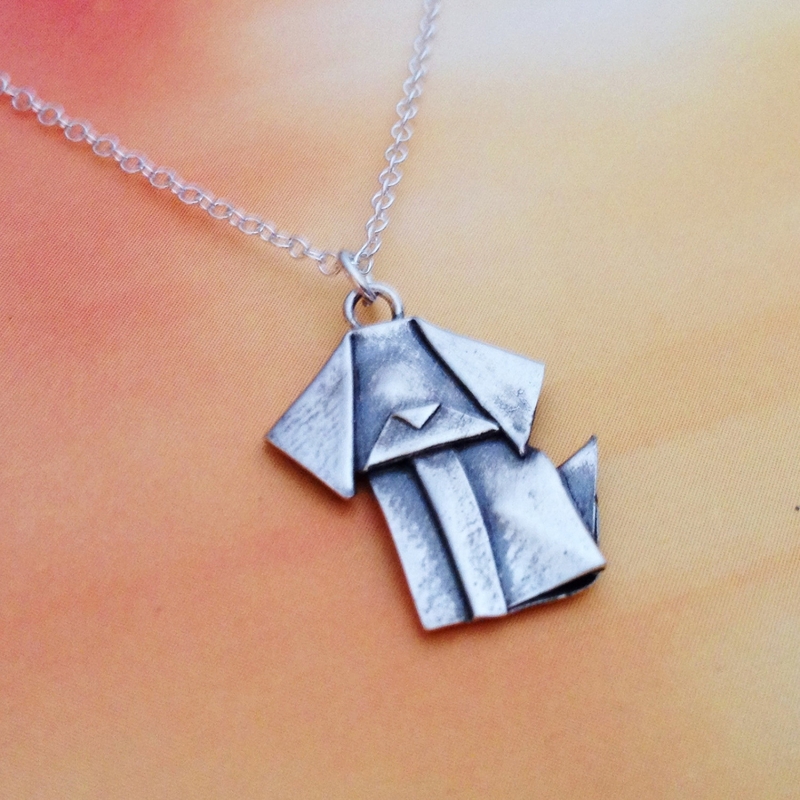 You can see he's roughly half the size of the full sized dog pendant. 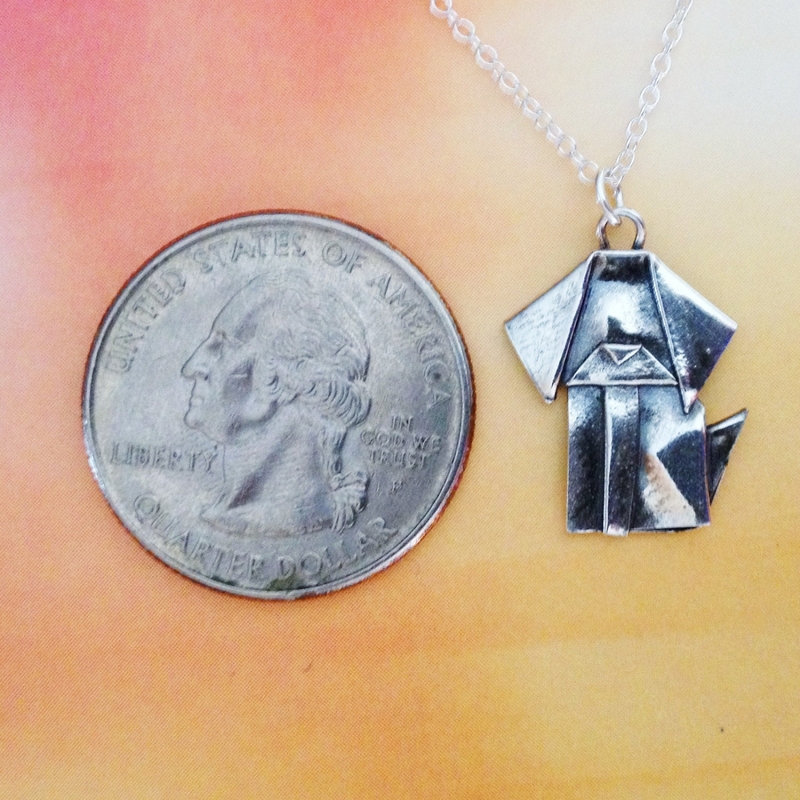 Great for people who like smaller, charm-sized jewelry.